Jimmy Buffett kicked off his new I Don’t Know Tour on Monday night in Austin, Texas as part of Austin City Limits Live. There were a few rare songs played (see set list below). 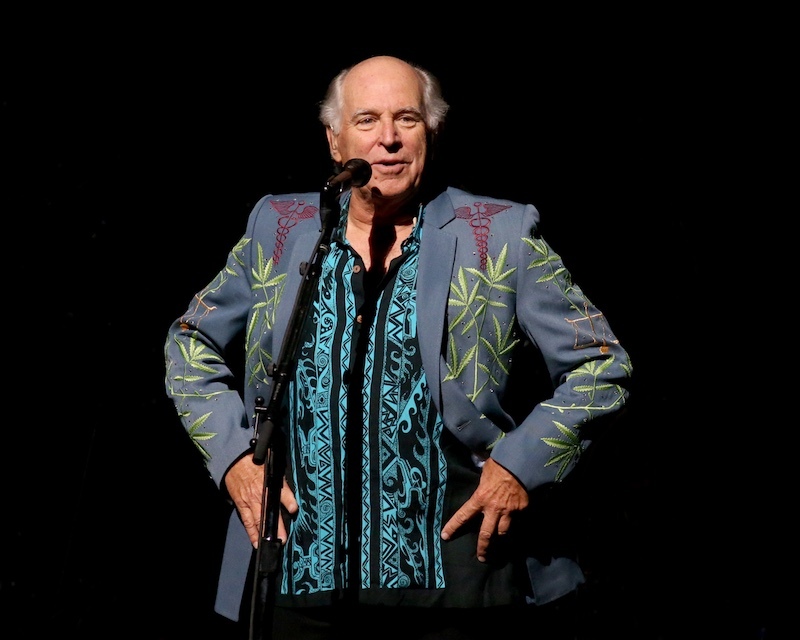 Five consecutive years of summer tour warm-ups in Austin during May yielded a first at the Moody Theater Monday: Jimmy Buffett wore a blazer. For starters, the bandleader of 11 group members began the show with an extended rap about some eight years of tour fine-tuning in the capital city. (Wait, and only five shows!?) Paying tribute to his local mentor Jerry Jeff Walker, who opens his Frisco show on Saturday in the Dallas-Fort Worth metroplex, Willie Nelson’s statue out front (“Since he’s still alive, I wonder how Willie feels about that”), and Austin itself, Buffett uncharacteristically went on at length before ever playing a note. Before long, however, the band was functioning at 80-proof, Floridays’ “Meet Me in Memphis” cruising its namesake’s Beale Street, and tour moniker “I Don’t Know (Spicoli’s Theme)” reviving 1982 teen film yuks Fast Times at Ridgemont High. Who recalls that the first name of Sean Penn’s titular stoner was Jeff? For “Margaritaville,” the host welcomed Hollywood mega-producer Frank Marshall onstage to play guitar and sing harmonies with second lieutenant Mac McAnally. McAnally’s solo turn on the only song Duane Allman wrote by himself, instrumental “Little Martha,” segued the band out of Caribbean bar band mode – congas, steel drums, trumpet, back-up singers – into a bluegrass cluster at one end of the wide stage. Six string-benders, from mandolin to Temple native Doyle Grisham’s acoustic slide, and one accordionist picked as Buffett sang to the lords of Easter Island (“Delaney Talks to Statues”) and then honored his onetime neighbor Glenn Frey with their co-write “Gypsies in the Palace,” about a friend of theirs who impersonated the the king parrothead in order to stuff a couple of girls into the singer’s Porsche, which ended up in a creek. Read more about the show at Austin Chronicle.